It seems like every week there is some new outrage plastered all over social media. One week it is one thing, the next thing it is something else. It feels like our world is on fire and not in a good way. You might have seen the hashtag going around social media #metoo and #iam1in4. 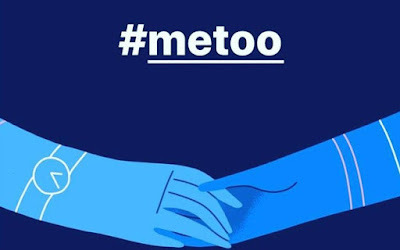 Women all over the internet are raising awareness of the prevalence of sexual harassment and abuse, and it has blown my mind how many of my friends have been personally impacted by our culture of disrespect towards women. I am one of the lucky few who grew up surrounded by men who have been kind and respectful towards me - but that is not the case for most women. I will never forget the day that my pediatrician asked me if I was talking to my daughter about "safe touch" she was only TWO YEARS OLD. I said that I was planning on talking to her about that as she got older. My child's doctor told me "you would be shocked at how many children, as young as three and four years old, that I have treated who have been sexually abused." That day changed my life. The only answer that I have for all of this atrocity is the same answer that I have had for every social outrage: it matters how we raise the next generation. 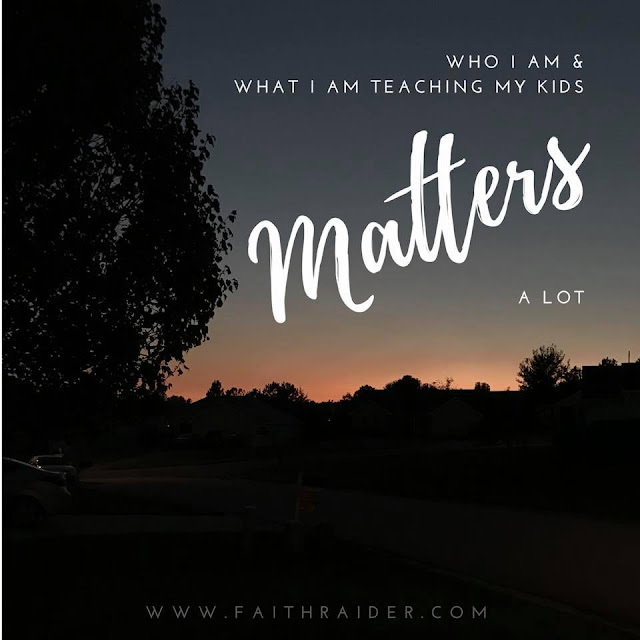 I am speaking primarily to moms, but if you don't have kids you are not out of dodge - your influence still matters - to your niece or nephew, your step-son or step-daughter, your friends' kids, or the kids at your church or in the clubs and classes where you may volunteer. These kids need us to be better about teaching respect, first by our example and then by our words. What you do - how you talk and how you act and what attitudes you adopt towards yourself and other people matters. Especially when it comes to what we are teaching our kids. This is not just a girl thing or a boy thing. 1 in 4 girls and 1 in 6 boys are the statistics for abuse. This is so unacceptable. We don't just need to teach our girls to be stronger or be louder or fight harder. We need to teach our girls and our boys to respect themselves and others. We must teach our children to respect others regardless of their gender, orientation, race, religion, socioeconomic status, physical/mental/social ability - all of it. We need to teach our kids that no matter how much we agree with someone - even if they go to our church or are in our club and are our friend - when we see someone disrespecting someone else it is our job to speak up. We also need to teach our kids that when we disagree with someone, no matter how strongly we disagree with them, we always show them respect. It has never been more important to teach that then now. We teach our kids to be respectful with their attitudes towards other people. We correct them when we see them imitating bad examples and we watch our own attitudes for how we need to do better. We teach our kids to be respectful with their words. We use anatomically correct language at our house and I tell my boys that we talk about our private parts "like a scientist and not like a bully" because - good grief, especially here in the Deep South there is so much peer pressure to not use proper vocabulary. We teach our kids to be respectful with their touch and to maintain their boundaries. I was watching this video last week and I remembered how important it is to teach my kids about maintaining their boundaries, even with me. I need to be an example of showing them what a respectful relationship looks like. When they don't want a hug, I respect that. When they don't want to talk, I give them their space. I am still super-aggressive when it comes to loving my kids. I sit there with them until they are ready to talk and I hug my teenagers even when they don't want to be hugged because they need to know that I love them even though we drive each other crazy. But I need to be a model of a loving, respectful relationship. If they don't learn it from their dad and me - where will they learn it? We have the opportunity to create a mini-communities in our homes, and to teach our kids the way the world should be at least a little bit. A place where each person is respected and expected to show respect. A place where we practice love and forgiveness and compassion and safe boundaries. As a mom, it often feels like what I am doing day in and day out doesn't matter. It isn't bringing in a paycheck or making headlines, and most of the things that I do in a typical week won't be remembered by my kids or even myself, it's a lot of the same things over and over. But these moments matter. We are influencing our kids one way or another - so what are we teaching them? Are we teaching them that it is okay to disrespect someone else if they disagree with us about religion? Are we teaching the kids around us that it is okay to disrespect someone if they are on the other side of the aisle from us politically? Or on the other end of the spectrum from us economically? Is it okay to disrespect someone because we disagree with them on the hot-topic issues of our culture at the moment? Or because they have some sort of impairment? What does our example teach them? Dear mama, daddy, aunt, uncle, grandparent, cousin, friend, pastor, teacher and volunteer - who you are around our kids matters. To everyone who is consciously making an effort to give the next generation a leg up on being people of love and justice - thank you. Now is the perfect moment to take another look at what we are teaching our kids, by our example and by our words. WE need to be having these conversations with each other right now, because who we are and what we are teaching the next generation matters.